The house has been significantly altered from the original, believed to have been designed by Samuel McIntire around 1790. 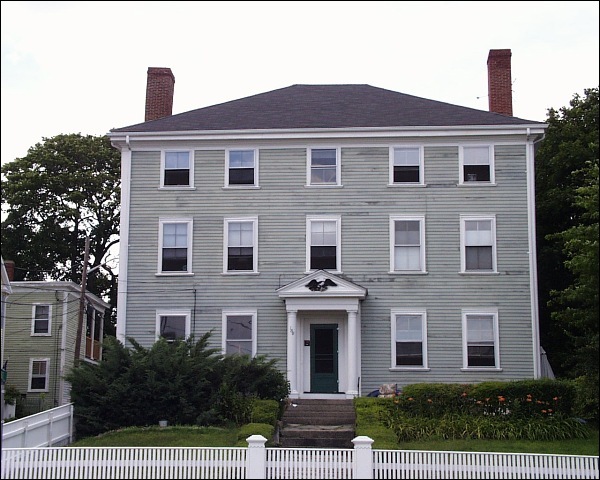 The house is located next door to the Custom House and was convenient to the Central Wharf. Significant alterations have been made in the house since World War I, resulting in the removal of many of its original architectural details. Forrester, of Scotch-Irish ancestry, was brought to the U.S. by Captain Daniel Hathorne (1731-1796), Hawthorne's grandfather. Forrester married the daughter of Captain Daniel Hathorne and Rachel Phelps Hathorne (1734-1814). Also named Rachel, she was Nathaniel's cousin. Forrester became wealthy during the Revolutionary War, but his reputation is tainted by stories of his alcoholism. Hawthorne inserts Forrester into The Custom House Sketch, calling him "old Simon Forrester."